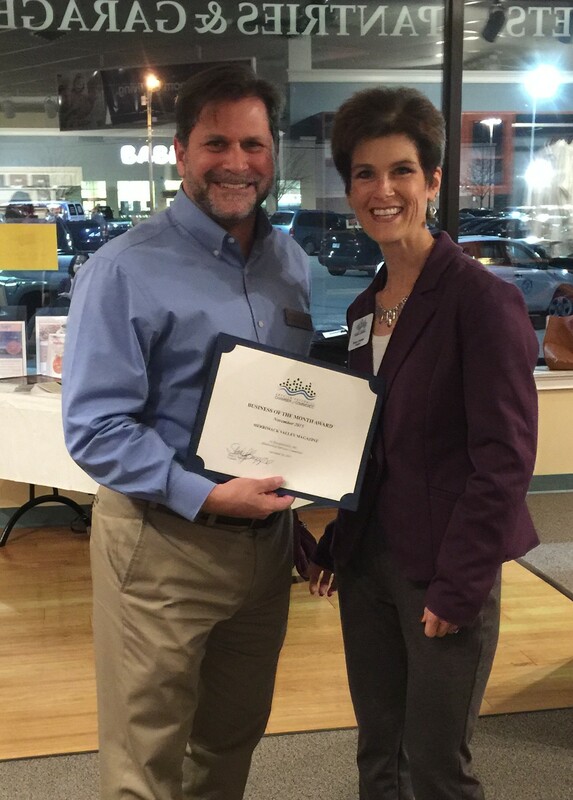 The Greater Haverhill Chamber of Commerce is pleased to recognize Merrimack Valley Magazine with the honor of the Chamber’s November 2015 Business of the Month. This special recognition serves to highlight their outstanding commitment to the promotion of local business, the Creative Economy, and the Greater Haverhill Region of the Merrimack Valley, as well as their continuous emphasis on community, culture and cuisine. The print magazine launched in November 2006 and has continued to provide the highest quality publication to the region. In each issue, Merrimack Valley Magazine brings the stories behind the headlines – biographies of the famous and not-so-famous; history of the region; community and business organizations; artists, musicians, educators, business people and life throughout our region to its readers. As an active and integral part of the Merrimack Valley, MVM participates in community events like the Lowell Food & Wine Festival, Merrimack Valley Hospice’s Food, Wine, and Beer Pairing and Silent Auction. In addition, they showcase nearby destination, the hottest places to shop, the best places to eat and the chefs that create the finest in local cuisine, serving as a catalyst for economic strength in our region. They have also been a long-time supporter of the Chamber, serving as event sponsor for Top Chef and the Annual Christmas Stroll. Business of the Year award. That honor is announced during the annual breakfast which has been scheduled for February 13, 2015.